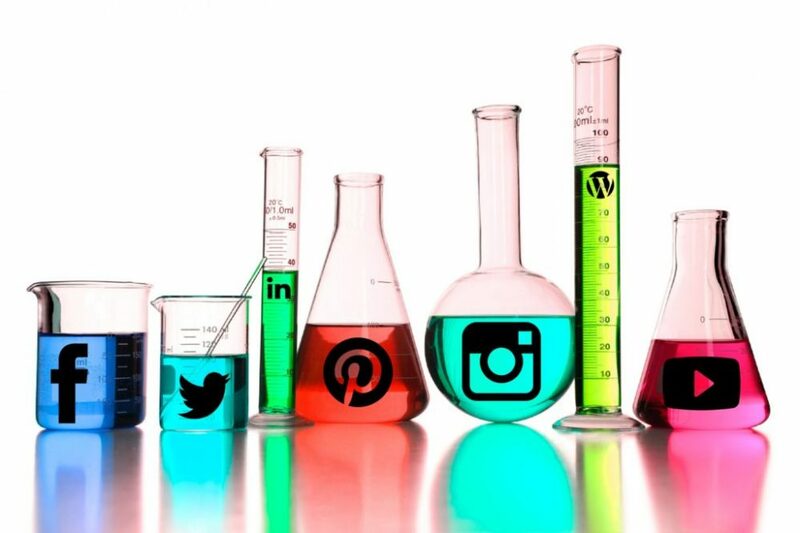 There’s a never-ending debate about how active we, as scientists, should be on social media. 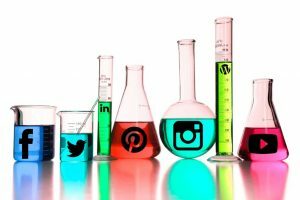 Which social media platforms are best for communicating our science? When it comes to posting, how much is too much? Should we post a few, critical items that are highly pertinent, or push out everything that’s even closely related to our focus? Personally, my deep-rooted question revolves around privacy. What aspects of my life (and thereby my science), do I keep to myself and what do I share? I asked that exact question at a workshop last year, and I have some main takeaways. At last year’s Southern California Marine Mammal Workshop, there was a very informative session about the role of media in science. More specifically, there was a talk on “Social Media and Communications Hot Topics” by Susan Poulton, the Chief Digital Officer of the Franklin Institute science museum in Philadelphia. She emphasized how trust factors into our media connections and networks. What was once communicated in person or on paper, has given way to this idea of virtual connections. We all have our own “bubbles”. Susan defined “bubbles” as the people who we trust. We have different classifications of bubbles: the immediate bubble that consists of our friends, family, and close colleagues, the more distant bubble that has your friends of friends and distant colleagues, and the enigma bubble that has people you find based on computer algorithms that the computer thinks you’ll find relative. Susan brought up the point that many of us stay within our immediate bubble; even though we may discuss all of the groundbreaking science with our friends and coworkers, we never burst that bubble and expand the reaches of our science into the enigma bubble. I frequently fall into this category both intentionally and unintentionally. Many of us want to be advocates for our science. Education and outreach are crucial for communicating our message. We know this. But, can we keep what little personal life we have outside of science, private? The short of the long of it: No. Alisa Schulman-Janiger, another scientist and educator on the panel, reinforced this when she stated that she keeps a large majority of her social media posts as “public” to reach more people. Queue me being shocked. I have a decent social media presence. I have a private Facebook account, but public Twitter and LinkedIn accounts that I use only for science/academics/professional stuff, public Instagram, YouTube, and Flickr accounts that are travel and science-related, as well as a public blog that is a personal look at my life as a scientist who loves to travel. I tell you this because I am still incredibly skeptical about privacy; I keep my Facebook page about as private as possible without it being hidden. Giving up that last bit of my precious, immediate bubble and making it for the world to see feels invasive. But, I’m motivated to make sure my science reaches people who I don’t know. Giving science a personal story is what captures people; it’s why we read those articles in our Facebook feeds, and click on the interesting articles while scrolling through Twitter. Because of this, I’ve begun making more, not all, of my Facebook posts public. I’m more active on Twitter. I’m writing weekly blog posts again (we’ll see how long I can keep that up for). I’m trying to find the right balance that will keep my immediate bubble still private enough for my peace of mind and public enough that I am presenting my science to networks outside of my own—pushing through to the enigma bubble. Bubbles differ for each of us and we have to find our own balance. By playing to the flexibility of our bubbles, we can expand the horizons of our research. 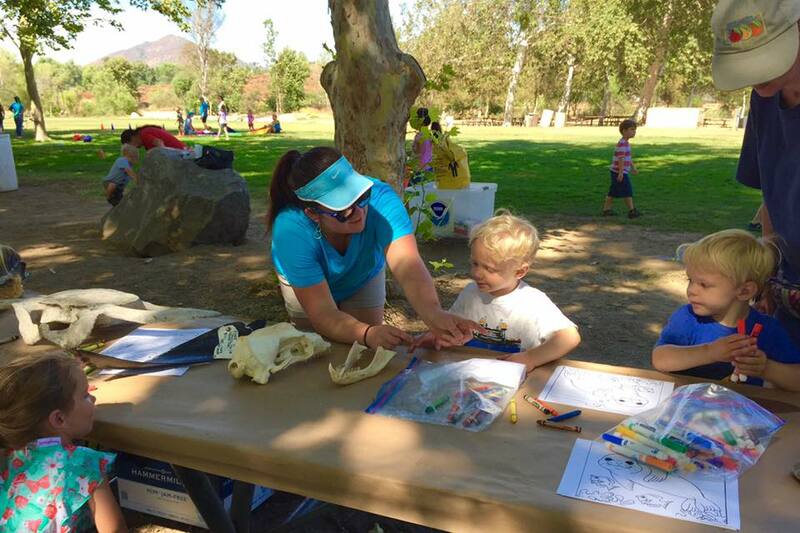 Alexa at an Education/Outreach event, responding to a young student asking, “Why didn’t you bring this seal when it was alive?” (Photo source: Lori Lowder). This topic was recently broached while attending my first official GEMM Lab meeting. Leigh brought up social media and how we, as a lab, and as individuals, should make an effort to shine light on all the amazing science that we’re a part of. We, as a lab, are trying to be more present. Therefore, in addition to these AMAZING weekly blog posts varying from highly technical to extremely colloquial, the lab will be posting more on Twitter. And that comes to the origin of this week’s blog post’s title. Leigh said that we should be “Twitterific” and I can’t help but feel that adjective perfectly suits our current pursuit. Here’s to being Twitterific! With all that being said, be sure to follow us on: Twitter, YouTube, and here (don’t forget to follow us by entering your email address on the lefthand side of the page), of course. Exciting news for the GEMM Lab: SMM conference and a twitter feed! At the end of the week, the GEMM Lab will be pilling into our fuel efficient Subaru’s and start heading south to San Francisco! 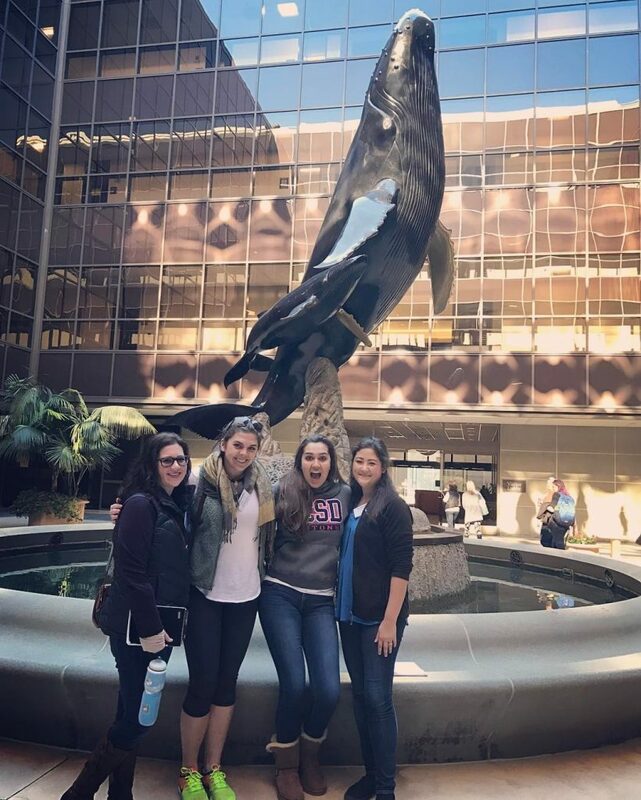 The 21st Biennial Conference on the Biology of Marine Mammals, hosted by the Society of Marine Mammalogy, kicks off this weekend and the GEMM Lab is all prepped and ready! And the GEMM Lab is all set to do just that! The conference will bring together approximately 2200 top marine mammal scientists and managers to investigate the theme of Marine Mammal Conservation in a Changing World. All GEMM Lab members will be presenting at this year’s conference, accompanied by other researchers from the Marine Mammal Institute, to total 34 researchers representing Oregon State University! Solène follows directly after me on Tuesday to give an oral presentation on the Environmental correlates of nearshore habitat distribution by the critically endangered Maui dolphin. Florence helps us reconvene Thursday morning with a poster presentation on her work, Assessment of vessel response to foraging gray whales along the Oregon coast to promote sustainable ecotourism. Twitter is a great way to communicate our research, exchange ideas and network, and can be a great resource for scientific inspiration. If you are new to twitter, like the GEMM Lab, or are considering pursuing graduate school, take some time to explore the scientific world of tweeting and following. I did and as it turns out there are tons of resources that are aimed for grad students to help other grad students. Tweets by the thesis wisperer team (@thesiswisperer) offer advice and useful tips on writing and other grad related stuff. If you are having problems with statistics, there are lots of specialist groups such as R-package related hashtags like #rstats, or you could follow @Rbloggers and @statsforbios to name a few. As always, thanks for following along, make sure to find us on twitter so you can follow along with the GEMM Labs scientific endeavors. Posted on December 10, 2015 December 10, 2015 Author holdmanaCategories UncategorizedTags Amanda Holdman, Courtney Hann, Florence van Tulder, Harbor Porpoise, Leigh Torres, Marine Mammal Conference, R, SMM, Solène Derville, twitterLeave a comment on Exciting news for the GEMM Lab: SMM conference and a twitter feed!